Months ago, reports came out that Home Depot (NYSE: HD) was looking at buying XPO (NYSE: XPO) to fend off a potential acquisition by Amazon (NASDAQ: AMZN). On the surface, the deal makes sense: XPO is one of the largest trucking companies with significant operations in last mile and home delivery. They have perfected the art of moving “fugly” freight. Amazon is moving into heavier goods, home appliances, and furniture as it continues to conquer retail: all super fugly. But there are significant issues with this hypothetical deal that we believe make the carrier a less desirable acquisition target for a retailer. XPO runs a very large terminal network that provides the backbone of its LTL network, employing tens of thousands of dock workers and handlers. XPO optimizes its freight network by cubing out trailers and mixing shipments from dozens of customers per trailer. LTL companies make their money by mixing shipments and loading their network high and tight. If Amazon or Home Depot were to purchase XPO, it is likely that other retailers and potential suppliers would move volume away from the carrier. After all, retailers are very territorial. Anyone that has ever done business with Home Depot knows that a similar relationship with Lowes is forbidden. Walmart has been known for threatening vendors that operate on Amazon’s AWS network that they risk being cut off for hosting any of their tech stack on the cloud-hosting platform. Retail is a significant portion of the freight industry, representing as much as 21% of all trucking freight. For LTL providers, retail tends to account for a much larger proportion of their freight. XPO reported that 29% of their revenue came from the retail sector in 2017. If even just half of this revenue evaporated due to a retailer acquiring the company, it would play havoc on the operational efficiency of XPO’s LTL network. Secondly, there is the issue of trying to deal with two separate logistics networks. Amazon has built an enormous network of warehouses around the country to serve as fulfilment centers and the jumping-off point for local deliveries. It is unlikely they want the distraction of trying to consolidate the LTL terminals into their existing warehouse operations. A visit to an Amazon facility feels like stepping into the future, while a visit to an LTL facility demonstrates how our industry is still dependant upon labor for packing and cubing trailers. The bottom line is that we believe a retailer purchasing an LTL freight company is unlikely. We do, however, understand the appeal of acquiring an asset-based truckload carrier to gain linehaul capacity. XPO is deficient in this area. They spun off their CFI operation in 2016 in an effort to clean up the balance sheet. 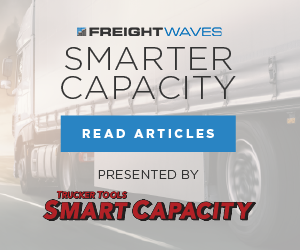 At the time truckload carriers were viewed to be in a cyclical decline and it is much harder to optimize a truckload network where profit is often determined by commoditized freight pricing. We believe that one company is far more interesting from an acquisition standpoint for a retailer: J.B. Hunt (NASDAQ: JBHT). J.B. Hunt is one of the most storied names in trucking. In fact, ask non-truckers to name a trucking company by name and J.B. Hunt will be a frequent favorite. J.B. Hunt is not your father’s for-hire truckload carrier anymore. Today’s J.B. Hunt is far more focused on logistics and mode-agnostic movement and less on their for-hire truckload operations. In fact, J.B. Hunt’s for-hire truckload operations are surprisingly a small part of their overall business. 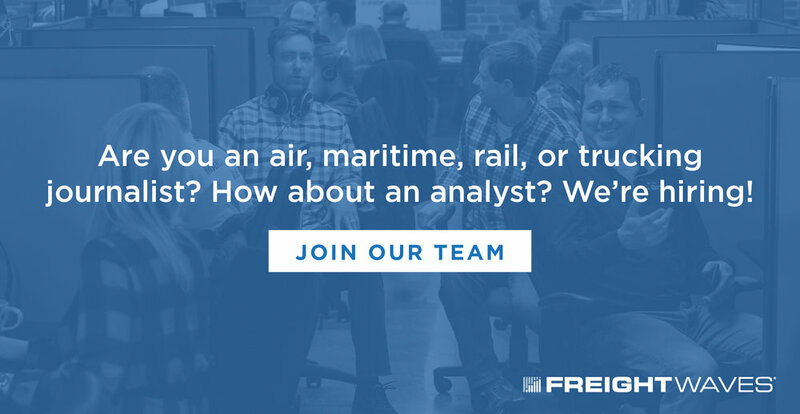 Only about 5% of the company’s total revenues are in for the for-hire truckload arena. Today, the largest part of J.B. Hunt’s business is in the intermodal segment, accounting for over 50% of the company’s total revenues. About three decades ago, the founder, J.B.Hunt himself negotiated a deal with the Santa Fe railroad--now the Berkshire Hathaway-owned BNSF--that effectively created the modern intermodal segment. 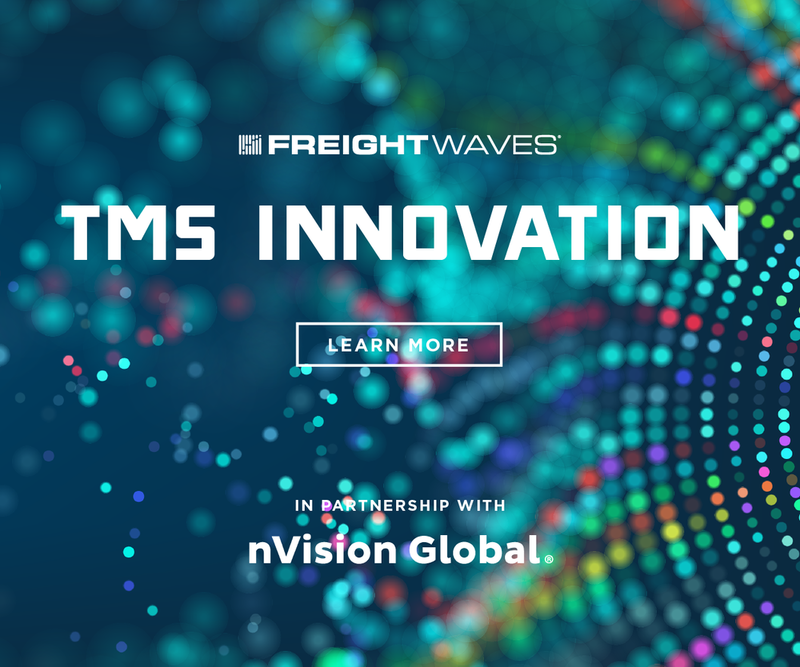 The first deal of its kind created a new age for trucking intermodal services. The deal was rapidly expanded to other railroads, creating a national intermodal network. Constructed as a joint venture, the deal gave J.B. Hunt almost unlimited capacity and required the railroad to give the carrier right-of-first refusal of capacity on the trains. The deal also gave J.B. Hunt a more competitive cost structure. They were playing arbitrage against much higher truckload costs, by buying capacity on the railroads at a significant discount to what it costs to use a driver with a truck. The capacity was also a significant hedge against a driver shortage or “squeeze” as J.B. Hunt was able to hire drivers near local rail ramps who could be home nightly, not having to travel beyond a 200 mile radius of the railyard. This strategy proved effective in making J.B. Hunt the powerhouse in the long-haul market. 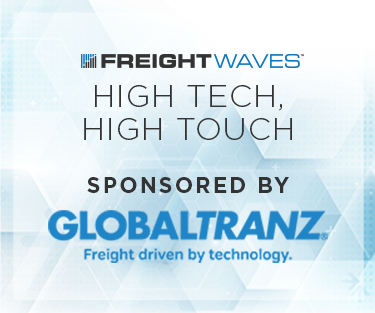 As other long-haul truckload carriers saw their pricing power deteriorate due to the scale of the intermodal segment, they were forced to move into the wild-west tweener market, putting downward pressure on their economic models and operating efficiency. 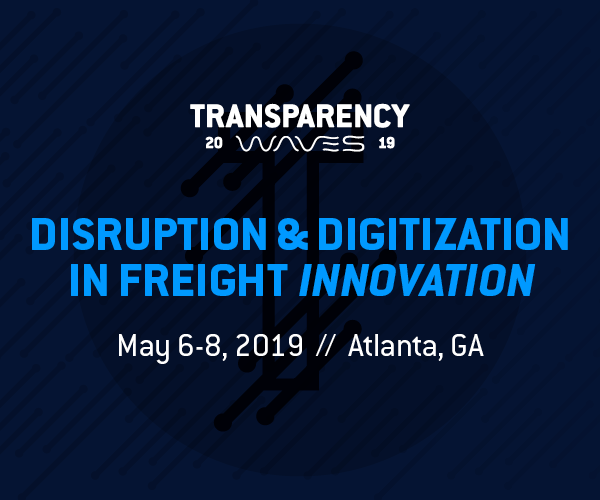 Until recently, the worst place to operate as an enterprise truckload carrier with drivers was the tweener market, where you were forced to compete against owner-operators and brokers who were not subject to the same level of scrutiny in terms of hours-of-service compliance. This, of course, could change with the ELD mandate. Since the ELD mandate, we have seen tender rejections highest in the tweener market (defined as 450-800 mile length of haul), indicating that shippers are seeing real stress in this segment of the market. In the chart above, taken from our proprietary SONAR platform tracks electronic tender rejections by length of haul. Tweener is defined as 450-800 mile LOH (the white line); Long-haul loads are described as 800+ length of haul (green line); and local tender rejections (less than 100 mile length of haul) are on the blue line. The tweeners are seeing much higher rejections. Currently tweener rejections are at 28%; long-haul market rejections are at 18.62%; and local rejections are at 8.18%. This means that we should see price inflation greatest in the market in the tweener market. We would anticipate carriers with the most exposure to the tweener market to have the best upside in these conditions. (hint: watch CVTI, WERN, USAK, USX, and CGIP). J.B. Hunt was also an early powerhouse in managed logistics. J.B. Hunt Logistics was created as the brokerage and managed logistics arm that was folded into Transplace at the formation of the 3PL. While Transplace ultimately went on to do great things, the initial experiment failed. J.B. Hunt, along with the other carriers that founded the logistics company, all sold out so the owner carriers could pursue their own logistics operations. Hunt didn’t wait. J.B. Hunt’s Integrated Capacity Solutions (ICS), a fancy word for their 3PL business, recently celebrating topping $1B in revenues. ICS continues to gain steam with the creation of J.B. Hunt 360, the firm’s digital brokerage app. In fact, J..B. Hunt 360 is the largest digital broker in the market, bigger than Convoy, Uber, Transfix, and all the others. In the second quarter, J.B. Hunt reported that 360 is on an annual run-rate of $520M in revenue. This could represent as much as 50% of the entire digital brokerage market. The last part of the puzzle for J.B. Hunt involves their Dedicated Contract Services (DCS). Dedicated trucking is a service offered by truckload carriers where companies outsource their private fleet under contract to an asset-based carrier. The carrier provides contract logistics to the shipper, with a dedicated truck, trailer, operations, and driver. The shipper gets the luxury of having its own private fleet to manage their supply chain, without having to deal with the headaches of recruiting and retaining the driver or the potential liability that comes from operating trucks. For companies like J.B. Hunt, the projects are lucrative and provide a cash flow annuity. 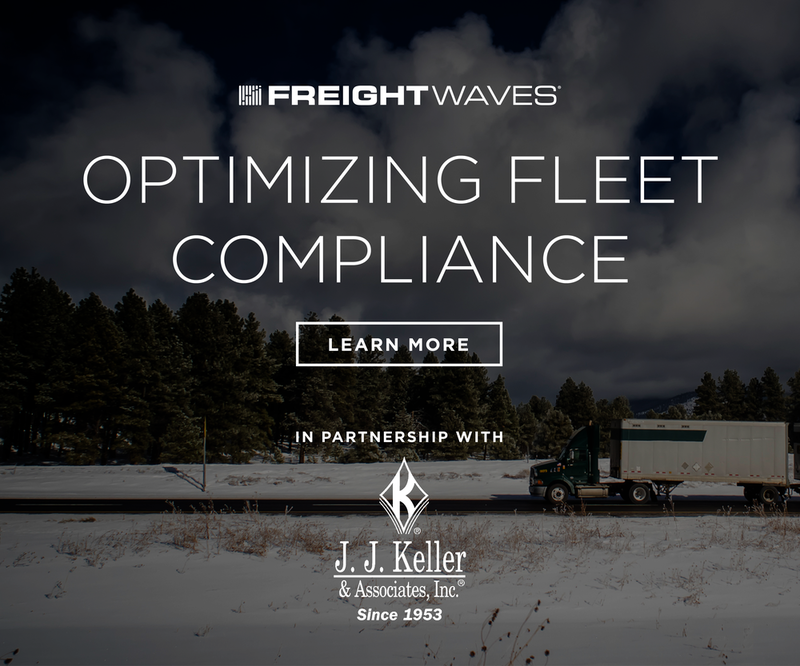 Contracts are multi-year and enable the shipper to have operational certainty and dependability to operate their supply chain without risk of carriers dropping off. 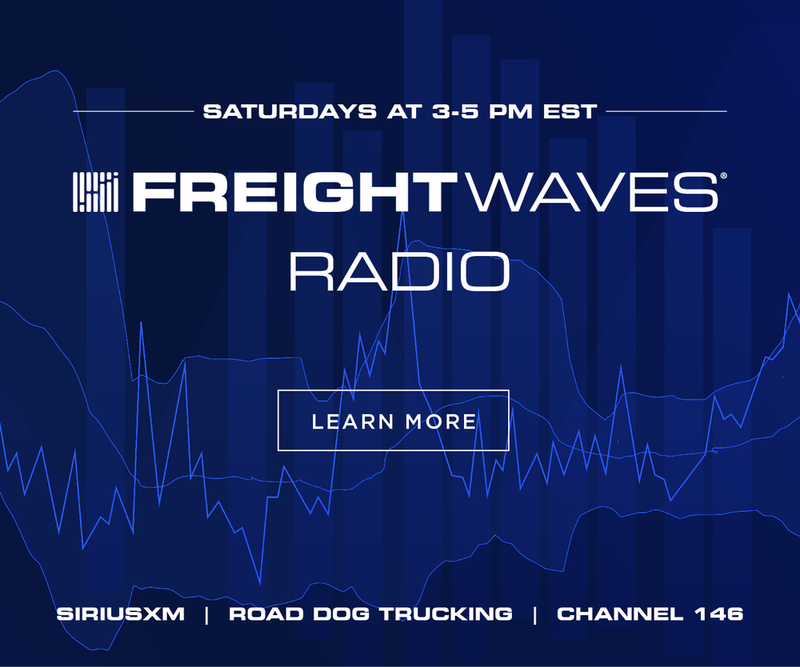 In a tight capacity market like the one we are currently experiencing, the operation is a golden goose for carriers, and for shippers, it is one of the most important hedges against capacity shortages. The most important part of DCS for a company like Amazon is J.B. Hunt’s Final Mile Services (FMS). FMS involve delivering heavy and bulk freight items to a consignee’s address, often a residential address. Many times, the carrier will carry the goods into the home and will assemble the item for the customer. A year ago, I ordered chairs for my media room and a J.B. Hunt pup trailer showed up with two guys that came in and carried them upstairs and proceeded to assemble them. 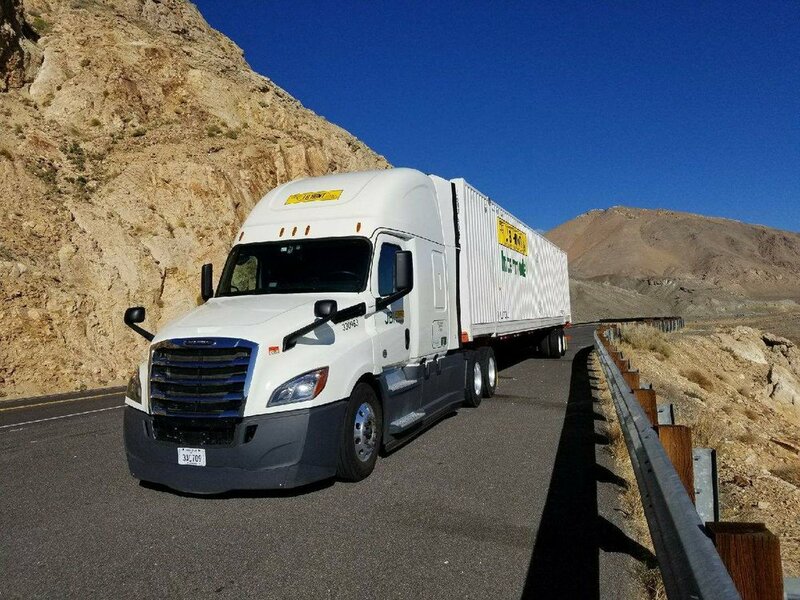 J.B. Hunt entered the final mile business when it took over Whirlpool's final mile operations nearly a decade ago. 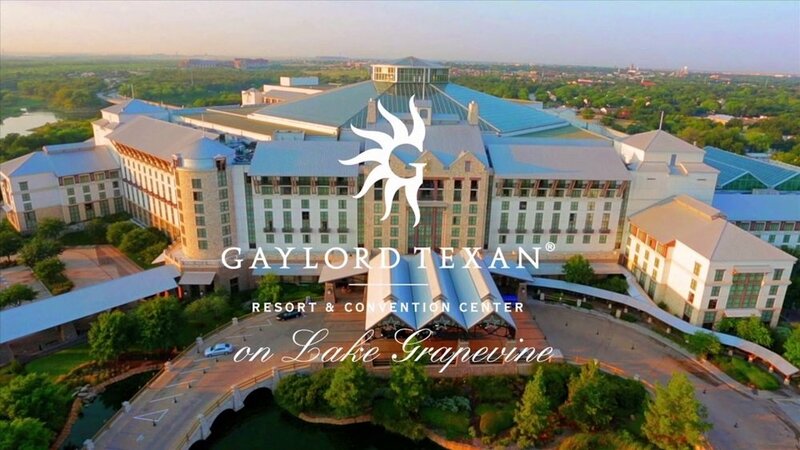 They recently made an acquisition around final mile, most recently acquiring Special Logistics Dedicated out of Houston for $136 million dollars. This was the first acquisition J.B. Hunt has made since 1991, according to Stephens’ analyst Brad Delco. Final mile was described as the reason that both Amazon and Home Depot were considering XPO. J.B. Hunt has all of the elements that Amazon has reportedly been wanting to build out in their logistics operations. 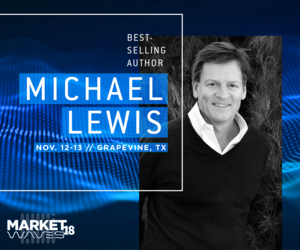 MarketWaves18 is held at the Gaylord Texan in Grapevine, TX on November 12/13. The company brings significant (and theoretically unlimited) linehaul capacity on the railroads. Amazon is already one of the largest users of intermodal services, serving as the third largest intermodal client in North America. Intermodal capacity is important for providing the lifeline to their linehaul networks and with the right of first refusal structures on the railroad, they would have an enormous strategic advantage in capacity securitization at peak. Our channel checks have confirmed that the rails are concerned about incremental capacity off the West coast for this peak season, placing the strategic importance of Hunt’s network in a more enviable position. The freight brokerage operations would be ideal as Amazon build out its logistics operations. Recently, the firm has focused recruiting people from the traditional freight brokers in Atlanta and Chicago, including folks from CH Robinson, UPS SCS, and Coyote. The 360 app would be an important asset for Amazon and matches their goals to build a digital freight brokerage app to source capacity. And perhaps most strategically, Final Mile Services has been a core focus on Amazon’s logistics build out. As the retailer moves further into heavy goods and appliances, having a network of local delivery operations around the country will allow them to scale more expeditiously. If Amazon were to acquire J.B. Hunt, Hunt will most certainly lose the bulk of their retail customers. Unlike LTL, the loss of 100% of truckload retail customers would not be horrific. Truckload capacity is treated like a commodity in the market by shippers and J.B. Hunt could easily find alternative shippers that are not concerned about Amazon’s ownership. Plus, Amazon could deploy the capacity into linehaul operations for the retailer, hauling organic demand that they already have. Amazon spends in excess of $6 billion dollars on purchased transportation annually already, meaning that any customer fallout could easily be addressed. There is also not an issue of LTL terminals to contend with. Unlike XPO’s LTL network, J.B. Hunt’s terminals are built for the purpose of recruiting, maintenance, and operations of the company’s trucks and drivers. Freight is not being loaded and unloaded in a sorting operation. J.B. Hunt would be a fairly easy transaction for Amazon to swallow. Even at a 20% premium of the company’s current enterprise value of $14.3B, the total firm would fetch $17.16B. Interestingly enough, a transaction involving J.B. Hunt would make Amazon one of the largest employers in Arkansas, right after Walmart. Bezos running his surface logistics operations just 14 miles from Walmart’s HQ would make for an interesting crosstown rivalry and it would give new meaning to the annual Rogers vs. Bentonville West football game. Disclosure: I currently hold positions in USX, CVTI, and CGIP.